Before you start: No matter which pattern you are using, the technique is always basically the same. 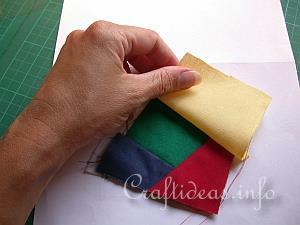 Cut out all blocks with at least 1/2 cm seam allowances on all sides. The piece #1 lays right side up and the following pieces all get attached with the right sides down. After sewn and when flipped, their right sides will then be showing. The pieces get attached in order. 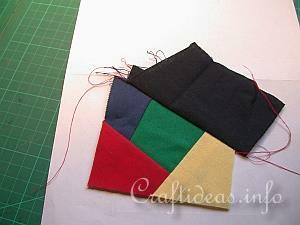 Starting with piece #1 and continuing in order until all pieces are sewn on the material. The technique is always the same, no matter what pattern you are using. 1. 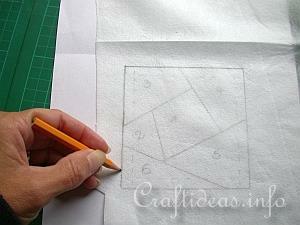 Lay the piece of interfacing material over the pattern and trace the lines with a pencil. You may choose to use a permanent marker so the lines are more visible. 2. Cut the interfacing out exactly on the outside lines. 3. 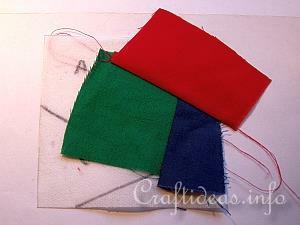 The topside of the material is the marked side and the bottomside is the sewing side. 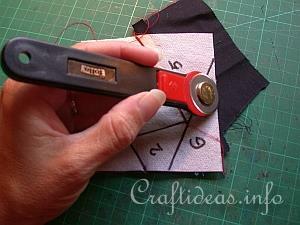 Lay a piece of material on the sewing side under block #1. This is how it looks like on the sewing side. 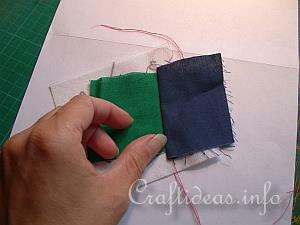 The material covers all edges with a seam allowance. 4. Lay the piece for block 2 over the first block. Line up the edges and pin in place to hold, if desired. 5. 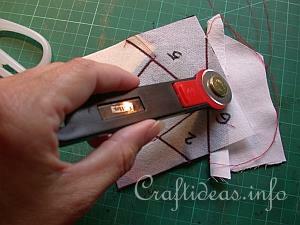 Turn the piece over and sew on the line between #1 and #2. End at block #3. 6. 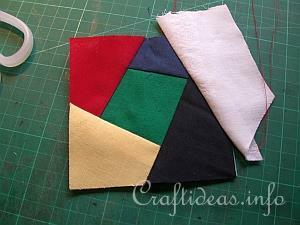 After sewing, turn the whole piece over and fold the pieces apart and flatten. The second piece of material should now be covering block #2 and the seam allowances should extending over the lines on all sides. 7. 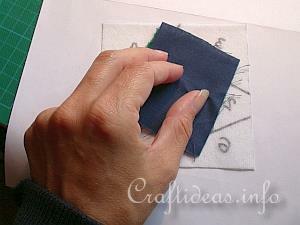 Cut excess material away along the outside of the block. 8. Add next piece of material for block #3. At least 1/2 cm should be over the line between block #2 and block #3. 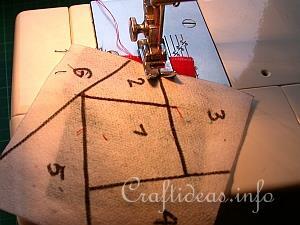 The line between the blocks is the sewing line. The majority of the material will lay over block #2 at the moment. Pin the pieces together. 9. 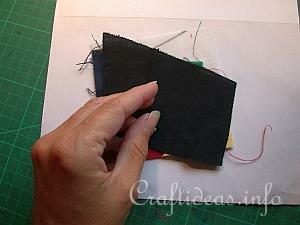 Turn the piece of interfacing over and sew on the whole line between #2 and #3. End at block #4. 10. 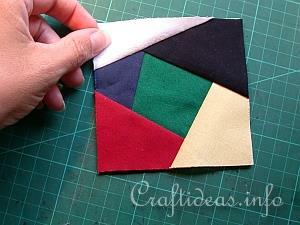 Turn the piece over again and fold the 3rd piece over. It will now cover block #3 with seam allowances on all sides. Press flat with your fingers. 11. 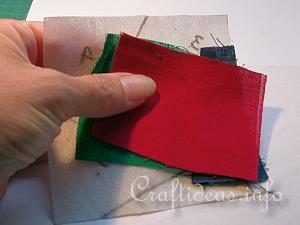 Cut excess material away along the outside of the block. 12. Add next piece of material for block #4. At least 1/2 cm should be over the line between block #3 and block #4. 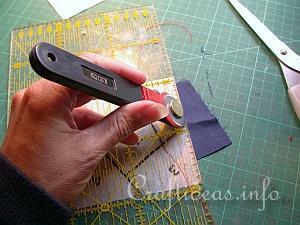 The line between the blocks is the sewing line. The majority of the material will lay over block #3 at the moment. Pin the pieces together. 13. 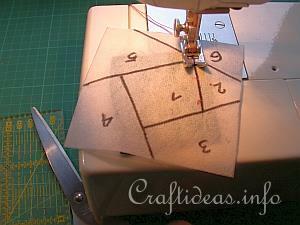 Turn the piece of interfacing over and sew on the whole line between #3 and #4. End at block #5. 14. Turn the piece over again and fold the 4th piece over. 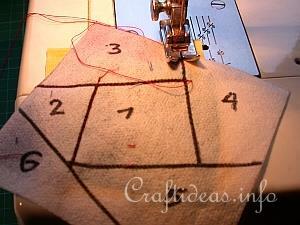 It will now cover block #4 with seam allowances on all sides. Press flat with your fingers. 15. 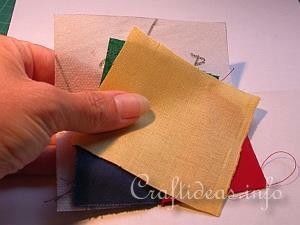 Cut excess material away along the outside of the block. 16. Add next piece of material for block #5 At least 1/2 cm should be over the line between block #4 and block #5 The line between the blocks is the sewing line. The majority of the material will lay over block #4 at the moment. Pin the pieces together. 17. 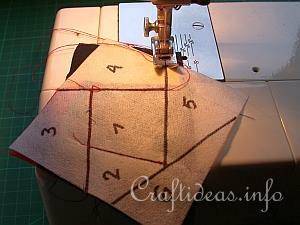 Turn the piece of interfacing over and sew on the whole line between #4 and #5. End at block #6. 18. 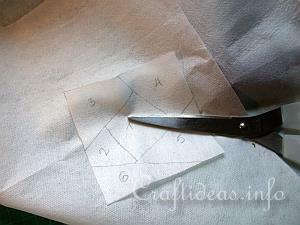 Turn the piece over again and fold the 5th piece over. 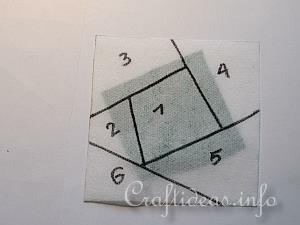 It will now cover block #5 with seam allowances on all sides. Press flat with your fingers. 19. 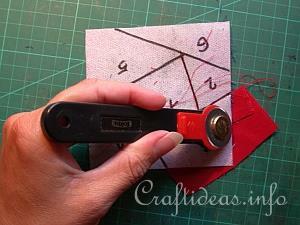 Cut excess material away along the outside of the block. 20. Add next piece of material for block #6 At least 1/2 cm should be over the line between block #5 and block #6 The line between the blocks is the sewing line. The majority of the material will lay over block #5 at the moment. 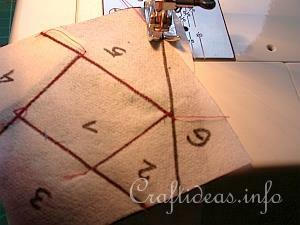 Pin the pieces together.Turn the piece of interfacing over and sew on the whole line between #5 and #6. End at the edge. 21. Turn the piece over again and fold the 6th piece over. It will now cover block #6 with seam allowances on the outside edges. Press flat with your fingers. 22. 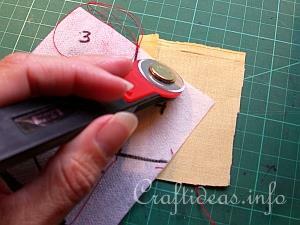 Cut excess material away along the outside of the block.